Signal mountain Rentalspaces nellies hwy127 sale for2018! You are here: Home Find Vendors Nellie's Hwy 127 Sale for 2018! Nellie's Hwy 127 Sale for 2018! WE HAVE JUST OVER 2 MONTHS BEFORE THE SALE STARTS BUT IT'S NEVER TOO EARLY TO LOCK IN A GREAT SPOT! Nellie's Duck Mart has been a favorite stop each year during the Hwy 127 Sale. Located at the corner of Hargiss Road and Taft Hwy, Nellie's is ideally situated for its high visibility, large shade trees and summer breezes that make those hot weather days pleasant for both vendors and customers! 2017 was a tremendous success and we are looking ahead to 2018! 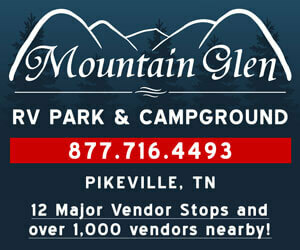 Lynn Short and Carol Ducker welcome a diverse and eclectic assortment of vendors at their Signal Mountain location. We will be seeking additional vendors to set up in 2018 with us. We are offering vendor spaces, along with camping sites and vendors may set up as early as July 27th to have a full 10 days of selling. Space is limited so contact us early to reserve a spot! For more information and/or to reserve a vendor spot, please text Lynn @ 423.505.5827 with your email address. We will send our vendor packet and detailed map of our vendor spaces for 2018. Rental Space Sizes: 15' x 20' and up.